Once again, LED Show Balett’s “Light of Dance” from Karlsruhe Baden-Württemberg fascinates them and their audience with yet another captivating performance. The LED dancers with new, modern LED costumes move in this dance like a human robot. The appropriate music, the LED umbrellas and the new Led lights synchronization of the Led costumes make the whole thing even more dynamic and futuristic. The special thing about our cyborg is that this dance brings a revolutionary idea of ​​man on display. The hybrid people. The unique and worldwide No. 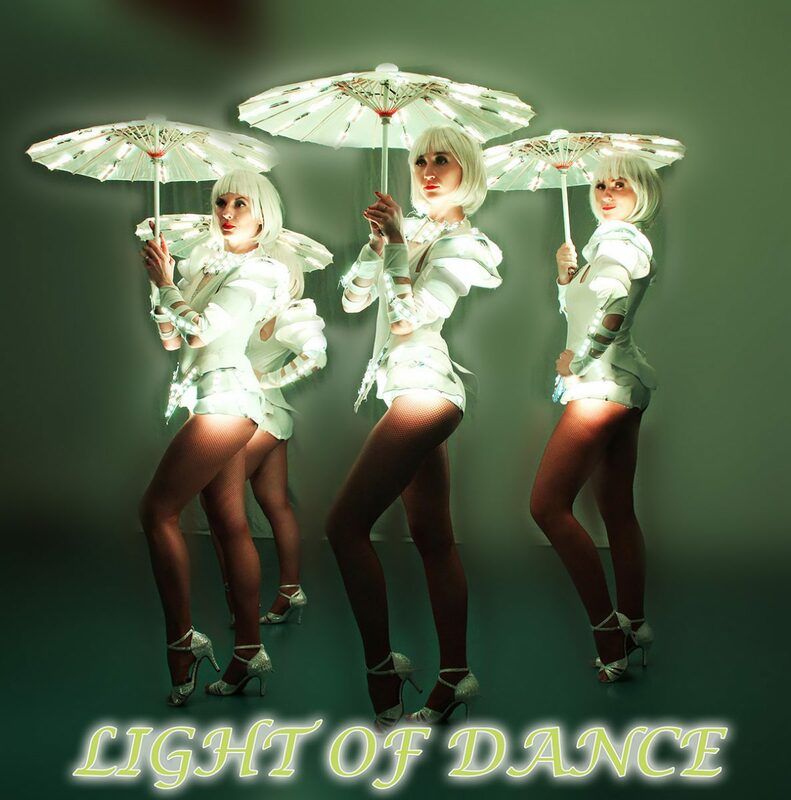 1 Led Dance Show Light of Dance from Germany, will immerse you and your guests in a new era of dance. That’s why Light of Dance personally recommends this dance to any type of event, especially for forward-looking galas and events. Make contact today with the International No. 1 Led Dance Show Light of Dance. We are happy to advise you and design your personal program according to your wishes. As a professional and experienced company we can certainly include the right combination of your desired dances in your program. Light of Dance has something for every type of event. 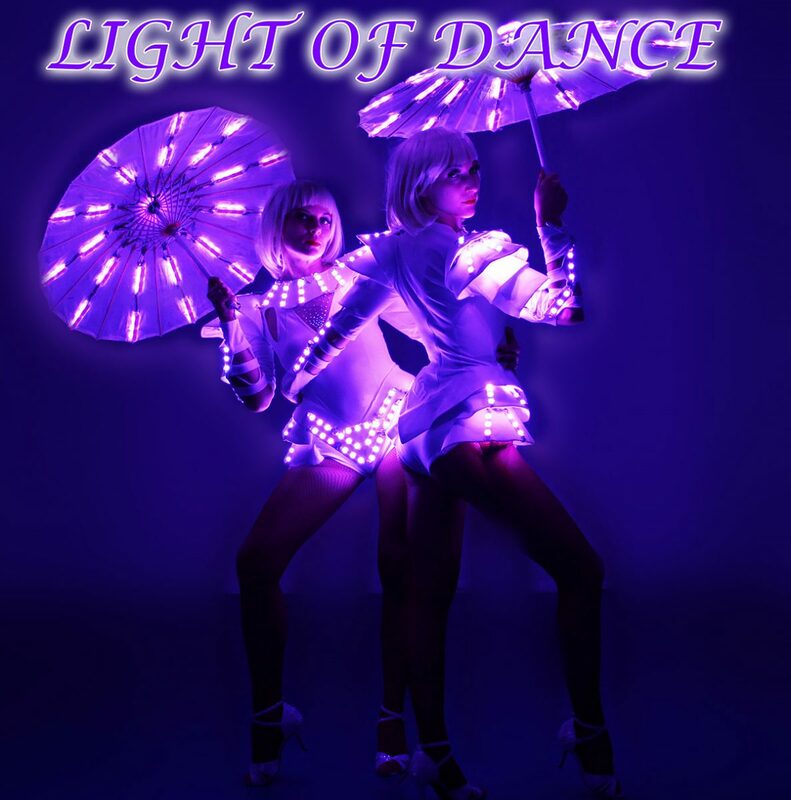 The Led Dance Show by Light of Dance revolutionizes dance in a new era.